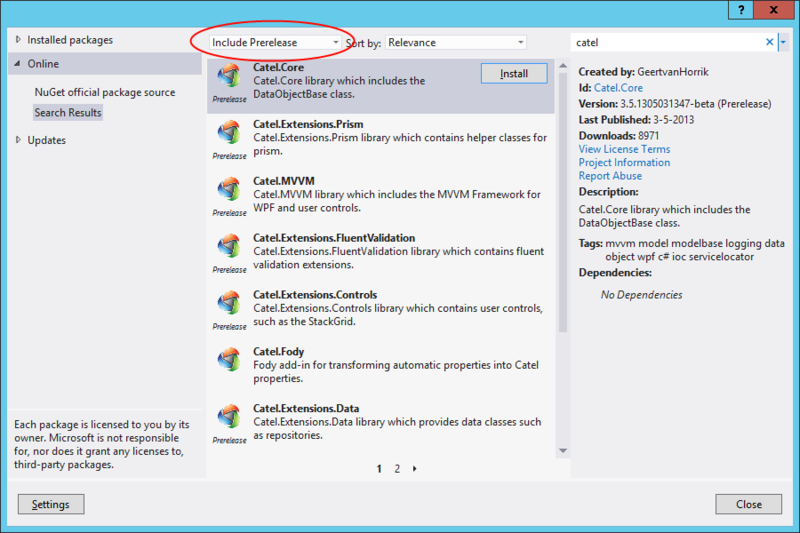 Starting with Catel v5, the alpha prereleases are only available on the MyGet feed for Catel. Therefore you must first add the custom url to the NuGet Package Manager. The easiest way to do this is via Visual Studio. This example installs Catel.MVVM as a package. However, to install other packages simple change the ID (name) of the package.